An investment in a commercial building has several dynamics. Not only are buyers relying on earning rental income, they are investing in the structure itself. The roof of the building is an important component and commercial roofing contractors recommend a preventative approach to maintenance in order to extend its life. To ensure that a commercial building is protected against wind, rain, ice, snow, and other weather conditions, its roof must be cared for and maintained. It can be very expensive to replace a commercial roof and preventative maintenance decreases the chance that this will be required. Commercial building owners should find a qualified contractor experienced with commercial roof installations. This professional will provide a maintenance service program designed to extend the life of the roof and ensure the property owner does not create unnecessary costs in regard to repair bills. Preventative maintenance can double the life of the roof system, deferring capital expenses. It helps prevent the frequency and severity of leaks, trapped moisture, and growth of mold, which can threaten rental income due to dissatisfied tenants and unhealthy or unsafe working conditions. Regular maintenance also helps maintain the shingle warranty. An annual inspection is the minimum amount of maintenance required for a commercial roof. Lack of inspection and maintenance are primary contributors to roof failure. A periodic visual inspection of the roof identifies deficiencies. The roofer points these issues out to the commercial customer and recommends a method to address each one. It costs much less for an annual inspection and periodic repairs than it does to replace the roof or even a section of it before necessary. During the inspection, the roofer looks for signs of wear and shingles that are loose, cracked, curled, or missing. Penetrations of the roof deck or shingle layer are also identified. Flashing can be a problem with commercial as well as residential roofs so it is inspected to ensure that it is properly sealed. If the building has a gutter system, this will also be inspected to identify whether repair or replacement is needed. Investors in commercial buildings often take a life cycle approach to components including the commercial roofing system. Maximizing the service life of the roof and realizing the potential of life cycle costing is important to them. A preventative maintenance program for the property helps achieve these goals and requires no effort on the part of the investor. Your roof has some very important duties to take care of; namely, protecting you, your family, and whatever else is inside your home from the rain, sleet, snow, hail, and strong winds that can come during a storm. In order for your roof to do its job to the best of its ability, however, it needs to be in good shape. It can't maintain itself, so this responsibility falls squarely on your shoulders as a homeowner. Here are a few benefits of repairing your roof should damage occur and compromise its ability to protect your home. One of the major benefits of roof repair is, of course, to fix up trouble spots and prevent damage in the future. Roofs that are neglected and begin to suffer wear and tear can actually cause further damage to other parts of the roof, as well as the interior of your home. If you want to prevent your roof from reaching into your wallet and continually taking money out, it's a good idea to take care of problems as soon as they become apparent so that they can't spread and cost you even more money. Taking a preventative stance toward roof issues can not only save you money from other minor damages that may occur, it can also save you from having to replace your entire roof completely. The installation of a whole new house top can be a costly endeavour; that's why repairing certain areas alone can benefit you tremendously in terms of money and time. Unless you prefer to pay a lot more money and have your life inconvenienced for a period of time while a new roof is being build on your home, hiring a company that can repair specific issues can be a much better option. These are just a few benefits of opting to go down the path of roof repair. Your roof is like a helmet for your home; effective in doing its job, which is to protect the top of the home and the things inside of it, but only if it is checked out regularly and kept in good condition. By locating a local roof repair company, you can ensure that you have a roof that is doing its job and keeping unwanted elements from the outdoors out of your home's inside. Keep these benefits in mind next time you have a roof problem that needs to be addressed. Shawn Farner independently authors articles for WebDrafter.com, Inc. SEM clients like St Paul roof repair company Eastern Roofing Co. The views and opinions expressed in this article are those of the author only, and not those of any other person, company, or organization. No guarantee or warranty, express or implied, is made regarding the accuracy, fitness, or use of the content herein. Roof Replacement for Residences: Is Your Home Ready for a New Roof? Depending on the grade of the shingles and the effects of the climate, shingle roofs typically last between fifteen and thirty-five years. If you plan to own a home long-term, this means that you could replace its roof several times in your lifetime. Roof replacement is something that few homeowners budget for, which explains why they hope to repair a bad roof system instead of replace it. A repair is usually less expensive than a replacement, but the cost of repairing an old system can soon exceed the cost of getting a new one. If you cannot decide whether to have a residential roofing company repair or replace your roof, below are signs that a replacement is the best idea. The deck is the insulated layer between the shingles and the plywood that is nailed to the joists. As shingles deteriorate, water seeps in and saturates the deck, causing it to bow inward. This eventually creates a bulge in the ceiling. When the deck is so saturated that it bulges inward, it is only a matter of time before it ruptures, and water drains inside your home. Over time, most homes experience incidental roof leaks that create brown spots on ceilings, but if the damage is persistent and severe, a roof replacement may cost less than constantly repairing the same problem. Leaking water can drain behind walls and under floors, literally ruining the entire house. If you see water spots on the ceiling, bear in mind that the water might be leaking somewhere else, too. Shingles have several stages of deterioration. In the first stage, they start shedding granules, which can clog gutters. In the final stage, they begin to curl and buckle. Shingles that shed granules are still capable of keeping water out. When they start to curl and buckle, however, it is only a matter of time before leaks start appearing. Regardless of the contours they contain, roofs should be sloped in a manner that allows water to run off instead of standing in pools. Unless a clogged drain causes the problem, standing water is usually the result of a poor installation job. If the problem is not fixed, it may cause the shingles to wear unevenly, and create leaks in the areas where the water stands. To replace or repair? For many homeowners, that is the question when it comes to their roof. If your roof experiences one or more of the problems above, there is a good chance that a roof replacement is the answer. To be sure you make the right decision, have a residential roofing company perform an inspection. When their home needs roof replacement, homeowners should carefully assess the credentials of the residential roofing company they hire. Should You Get Your Roof Cleaned By A Professional? Perhaps needless to say, the roof is an essential part of one's home. It protects the interior from rain and snow as well as contributes to a home's energy efficiency. But few homeowners really think about the roof until something goes amiss and it needs repair. A new roof is meant to provide many decades of worry-free service, yet it is wise to consider some preventative maintenance to ensure the long term integrity of the material. With constant exposure to the outside elements and the heating and cooling cycles from inside, an aging roof can develop points of failure over time. The most important thing one can do is to regularly take some time to inspect the roof of one's home and outbuildings. While one may not be able to see every bit of the structure, taking a regular looks up to see if there are any obvious problems is a good practice. Any damaged shingles, flashing that has gone awry or any other obvious signs of problems should be taken care of immediately. Not only do problems subject one's home to moisture and the elements, but left too long the issues can escalate over time. It is also good practice to have one's roof inspected by a professional every few years as well. With this type of examination the inspector will actually get up on the roof to uncover potential problem areas. This puts the structure and material under closer scrutiny and can help nip things in the bud. For a roof that otherwise is sound, but has accumulated grime, moss or other debris, a cleaning might be in order. Our wetter climate itself is not necessarily the issue, but the preponderance of trees and greenery. Shade from overhanging trees blocks sunlight which helps inhibit organic growth. Trees are the basis of algae spores that land and spread on roofs. Tree leaves pile up in roof valleys and clogs gutters which retains moisture or inhibit proper drainage. All these conditions result in a lower lifespan for one's roof. These things also make a home look run-down and affect value. Depending on one's roofing material, cleaning can take many forms. Sometimes a simple sweeping or hard spray with the garden hose can break up dirt accumulation and solve the problem. If there is organic growth present, one can apply a purpose-made cleaning solution that loosens algae and inhibits further growth. For some surfaces or more stubborn grime, a power wash may be necessary. This latter approach is best done by an experienced professional as the high pressure water, if not handled correctly, can cause damage and result in moisture getting into the interior. It is also wise to consider carefully the cleaning agent that is used. Not only is it important to use an effective cleaner, but using the wrong type can stain one's roof, potentially leaving unsightly streaks. It is also important in so far as environmental hazards. While no solution on the market will be environmentally toxic, one must consider surrounding plants and animals that may be exposed to the run off. Many brands now feature organic and natural formulas that eschew any chemical additives. If this is of great concern, one can simply opt for manual cleaning without any solution applied. Re-roofing a home is a major expense, so it is important to do regular preventative care to get maximum longevity. Regularly performing an inspection and having small problems fixed quickly are important. For a roof that is accumulating dirt, leaves and other grime, a cleaning should be planned. This will help the longevity and maintain the look of the roof for many years. What Roof System to Choose for Residential Roofing? The basic structure of a home can usually be completed in less than a month, depending on the size and complexity of the structure. While the skeleton of a home, what professionals refer to as the frame, usually goes up quite quickly, it is not until the structure of a roof is in place until a house really starts to look like a home. As with any building, the roof is a very important part of your home as it provides structural strength and will eventually shield your family and belongings from whatever weather Mother Nature throws your way. Not surprisingly, homeowners take this seriously. Whether you are constructing a new house or replacing your old roof after years of living in a home, there are a wide range of systems available to you. So, what kind of system should you choose for your house? Unfortunately, there is no easy answer to this question, and many factors should be carefully considered before you decide what kind of roof to build. In most cases, you should speak to a professional roofing contractor to determine the best system with respect to the function of the roof and how it will match the style of your home, but also with respect to your budget. Actually, cost is often the main factor that determines the roofing system on residential and commercial properties. Moreover, there are a heap of factors that can impact the cost of a new roof. The price of the material is an obvious factor, but also the condition of your existing roof, the shape, and the number of fixtures (chimneys, skylights, turrets, etc.) will impact your bottom line. For example, if an old roof needs to be removed entirely, this will increase your cost as will a roof with multiple pitches or breaks. Nevertheless, regardless of your budget, you can usually work with a roofing expert to determine a roof that will be safe and durable. Beyond cost, most choices of roofing systems will come down to the materials. Throughout North America, many homes feature asphalt shingles, wood or shake shingles, metal materials, tile, or even slate roofing materials. The cost for each of these systems will vary, and depending on the climate in your region, each system offers various benefits. Asphalt Shingles are by far the most commonly used roofing materials because they are inexpensive, easy to install, and provide excellent protection. Wood roofs were the material of choices for centuries, and wood still makes for excellent roofing systems. Cedar, redwood, and southern pine are great choices for wood shingles, and for an attractive roof. Unfortunately, in some regions, fire codes prohibit the use of wood roofing shingles. Metal roofs are usually constructed from aluminum, steel, or copper and are a great option for durable, fire resistant roofing systems. On the other hand, metal roofs are generally more expensive than asphalt or wood roofs. Tile roofs are popular because of their Spanish Colonial styling. These roofs are durable, but expensive and heavy. Slate is becoming a very popular option because these roofing systems are extremely durable. While heavy and expensive, slate roofs can last a lifetime. Choosing what roofing system is best for you requires that you need to consider your climate, your budget, and your style preferences. Always consult with your roofing professional to choose the best roofing system for your home. A good roof is very important for your house. Without one, you would have all sorts of problems indoors. Like most materials, aging will cause deterioration over the years. When this happens, repair or replacement may be necessary. There are many great things about having a roof that is in the best possible shape. Some of these advantages you may not have been aware of. Roofing professionals can help you to discover the best materials that should be used on your particular home as well as offer great financial options for you. Every home needs protection from the weather. You may think your house is just fine, but there are some signs that it may need repair or replacement. One obvious sign is leaking. If there is a part of your ceiling that leaks from indoors, it could actually be an external problem. Missing or deformed shingles are also an clear sign that repair is needed. If these repairs are delayed, the house can become further damaged due to leaks and other weaknesses in material. All you have to do is take notice. How does it look? If there are spots, bends, decay, or growth on your top, have a professional come out and discuss the best options with you. It is never good to delay any work that your house may need. Having quality roofing services will improve your overall home. Sound roofing keeps air within your house. This means that you will have an easy time controlling the temperature of your home and keep it energy efficient. With a sound structure, you will also have the best protection when it comes to any extreme weather. With a raggedy one, you would have no chance in the event of a bad storm. Suppose you want to sell your house one day. The house will be worth a lot more with a sturdy and dependable covering. In fact, without one, most buyers would not give the house a second glance. So it's best to go ahead and have roof repairs and replacements if you need them. The value of your house can increase tremendously. 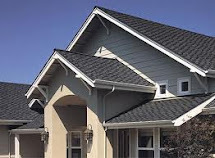 There are different types of material that are used in roofing replacement and repairs. Whether tile or asphalt is best for your home, a professional will know. There are also different styles and colors to choose from. The safety and condition of your home relies on a sound, weatherproof exterior. Construction is fast and even emergency situations can be serviced. All it takes is a phone call to get this job started. Spots, leaks, and ruined gutters are just a few of the tell tale signs that your house needs repairs. Don't ignore these signs. You never know what might happen. Keep your house safe and strong by getting it in the best shape ever. When it comes to home improvements, many homeowners feel that "more is better," particularly when they are considering roof ventilation. In fact, that's not always the case; you can have too much venting, the wrong kind or even two different kinds that don't work well together. If your home is improperly vented, it can lead to excessive heat in your attic, which will force your cooling system to work overtime in the warm months. Excess humidity can also be a problem that leads to more serious complications such as rotting of the roof deck and mold growth, which can be dangerous to your house and damaging to your home's walls. To make sure your home's roof is properly ventilated, talk to a seasoned roofing contractor who can explain the different types and determine which kind and how much you need for your house. A local roofing company can also discuss the costs and benefits of a new or upgraded venting system in your home. Most homes with asphalt shingles use passive attic ventilation to keep the area cool. Natural convection -- the upward movement of air when it is heated -- is the primary way passive venting cools things down. For larger areas or homes that are difficult to cool, a roofing contractor might add fans that use wind to increase pressure differences in the air and improve cooling. The air current that cools the attic can be improved by installing intake vents at the bottom to allow cooler air in, while the hotter air will rise and be released through ridge vents. Sometimes your roofing company will suggest a powered vent system. This is generally a good idea when your roof's passive system isn't sufficient or if your attic area is particularly hot during the day. Small motors mounted near the outtake vents pull hot air up and out of the space. It's very important to understand the mechanics of this system in order to ensure that your home has sufficient intake vents under the eaves; otherwise, the forced flow of air could pass the intake vents entirely, defeating their purpose. If you're concerned about your attic being too hot, consult a roofing company in your area. You may talk to a contractor who suggests that you add one or more electrical fans to the roof in order to improve the airflow. If you already have a passive system in place, however, adding a powered system is not the answer unless you are going to remove your current roof and start from scratch. It's never a good idea to combine two very different types of ventilation, as they will most likely end up working against each other rather than solving any problems. In many situations, using two different types can void the warranty on your shingles, so be sure to discuss this possibility with any roofing contractor who has agreed to install new or additional vents on your home's roof. To ensure that you have the best ventilation system for your house installed, be sure to ask questions before signing a contract. It's also a good idea to get at least one other quote just in case. A: Yes, we are licensed (#436690), bonded and fully insured. Q: Are your estimates/inspections free and how long are estimates valid? A: Estimates/inspections are free and are valid for 30 days. Past 30 days it is best to call us and ask if a re-estimate is needed. Often an estimate will be good beyond 30 days but this depends on material costs. Q: Can I have my roof done in the winter or during bad weather? A: Above All Roofing does roofing year round. It usually only takes 3-6 hours to actually tear of the existing roof and apply water tight underlayment. The new roof itself can often be installed in less than perfect weather. Q: What does your price include? A: Everything from A-Z. The weather stopper roofing system, all labor, materials, permit, dumpster, dump fees, clean up, and also AAR's experience, workmanship, and warranty. Q: Is removing my old roof required? A: Not always, but it is usually recommended. Primarily, it aids in assessing the condition of the roof deck or substructure. It is not uncommon for us to find unknown dry rot, wet decking, or pests at the time of tear off. With the roof removed, these problems can be addressed right away before any further damage occurs. Furthermore, removal of the old roof allows for the proper underlayments to be installed insuring long roof life. Q: What sort of warranty do you carry? A: Warranties vary from manufacturer to manufacturer. Many have non-prorated, full replacement policy for a period of time, followed y a prorated period. AAR's relationship with several manufacturers extends standard warranties, lenghtening protection periods, in some cases up to 50 years, non-prorated. Q: I plan on getting my roof done and my home sided/painted. Should I have to be done first? A: Regarding construction jobs, you want to start at the top and work your way down. This prevents new materials from being damaged during roof removal. Q: What is the difference between a fiberglass laminate and 3-tab shingles? A: A laminate is composed of two shingle strips glues together in a way that creates a random appearance. They are rated for 25, 30, 40 and 50 years depending on the quality of thickness. The weight per square is a one layer, flat shingle. It has vertical key ways (slots) across it to create its pattern. It is available in 215 and 30 year ratings. Q: I am planning to have my home re-roofed soon, but am concerned about my landscaping being damaged. What assurances do you have for these concerns? A: Above All Roofing uses several techniques regularly to avoid landscaping damage. A brief inspection of your property helps develop a plan to prevent any and all damage to landscaping. Q: How long does an average roofing job take? A: Once we have started work on your home that work is not interrupted until it is completed - weather permitting. In general, most re-roofs take 1-2 days. When your job is scheduled, it is the only job for that crew until completion. Q: My roof seems to be leaking and it is not raining. Why? A: Condensation is most likely your problem. Vaulted ceilings are prone to this problem and may need to be vented, if possible, at the ridge and eaves. A moist crawl space can produce 20 gallons of water vapor per 1000 square feet and should be covered with 6 mil visqueen. Also, plants, bath vans, and other humidity all contribute to condensation problems. Another possibility could be plumbing leaks from toilets or sinks and the piping that connects to them. Roofs are designed to protect a structure from the elements, especially water. They can be built using various types of materials such as slate, rubber slate, wood shake, asphalt and metal. Whatever materials are used, a roof will eventually wear out over time and need repair or replacing. Evidence of roof problems can include missing, loose, warped or buckled shingles and tiles, which leave the underlying roofing materials unprotected. Roof leaks are especially serious and should be immediately addressed to prevent dry rot and mold. If a roof isn't designed correctly, it can lead to serious issues such as sagging and splitting, as well as water and sediment accumulation. The life expectancy of a roof will decrease when it hasn't been properly installed. You will also encounter issues similar to those found in a faulty design, such as poor drainage. Even when a roof is properly designed, maintenance is still required to prevent debris from clogging drains. Minor repairs may also be needed on occasion. When necessary fixes are ignored, it can result in more severe problems. The condition of a roof will deteriorate over time under any circumstances, but certain weather conditions can facilitate the process such as rain, wind, snow and hail. The rate of deterioration is often determined by the type of roofing material used. As an example, natural roof materials will deteriorate faster than synthetic roofing. A roof can also decay due to exposure to pollutants and toxic chemicals. Flashing seals and protects the joints and places where the roof intersects with pipes, chimneys, skylights, vent stacks and similar objects. There are many issues that can arise with flashing, including poor design, improper installation or fastening, poor adhesion and inadequate coating. Roofs can be replaced at any time, even in wet weather. The process involves removing all of the existing roof shingles and paper. There may even be additional roof layers that need to be removed depending on the age of the house. Once this phase of the process is completed, any necessary repairs will be made. The next step is to lay down asphalt paper, after which the new shingles, followed by flashing and installing the ridge vent. The costs associated with replacing a roof will depend on the steepness of the roof, the size of the area that will need to be replaced and the roofing materials that will be used. And remember, when hiring a contractor, ask to see his or her pocket license. Verify that the contractor is insured and carries workers' compensation. If you hire one that doesn't have workers' comp, you are legally considered the employer and can be held accountable for any job-related injuries. Once you've verified the contractor is licensed and insured, ask for references. Hearing what former clients have to say about the work that was done for them can be extremely helpful when deciding if you should hire them. Having your roof regularly inspected by a professional contractor is an important part of the maintenance process. When roof problems are detected early, not only will the repairs usually be less costly, it can help prevent other types of damage to your home. Leave the hard work to the professionals , call ABOVE ALL ROOFING CO.! We are a family owned and operated contractor located in Vacaville, California; serving the surrounding counties and the Bay Area. We are here for all your roofing needs. We have extensive knowledge, with 37 years of experience in many types of roofing systems. Our goal is to provide you with quality workmanship, timely service and fair pricing. Our estimates are always free. We are licensed, bonded and insured and a member of the Better Business Bureau. The roofing profession generally isn't something homeowners spend a lot of time thinking about until something goes wrong. Then it becomes a matter of great importance. Shouldn't it always be, though? After all, you're talking about the most important part of your home's structure. Without it, you don't have a proper home and you aren't protected from the elements. Someone living in a tent is in a better position. So whether you're thinking about getting some repair work done or going for a full replacement, here are some things you need to know about dealing with contractors and making a final decision. Even the best roofing companies tend to give homeowners a best-case scenario when it comes to the length of time their construction will last. The simple truth is that many of these estimates come from the manufacturer of the materials and they are based on normal weather conditions. But it's difficult to say where you might find these "normal" weather conditions. Your home is going to encounter winds, rain, snow, and other elements that are going to degrade the surface and take away from that time estimate. It's just something to be aware of. If you've never had a full home inspection, there could be problems up top that would be impossible to spot from ground level. It doesn't hurt to have a good roofing company come out and give it a full inspection so that you know if there is repair work that should be done. As with anything, the sooner you do repairs, the less costly they will be. Of course, you should hire someone you can trust. You don't need a company that is salivating at the thought of making up some needed repairs so they can bilk this homeowner for a job that doesn't need to be done. When it comes to roofing work, you're probably going to run into three primary types of companies. The first type will be a nationally syndicated company that hires out work from their franchises or from local contractors. While this company has a national reputation to protect, there is always going to be a buffer between you and management, and that can be frustrating. Next, there's the local contractor. This is often the best choice for the job. You'll get an easy idea of their local reputation and you'll always be able to get in touch with the guy in charge. Finally, there's always a local yahoo or two who just run around and do odd jobs, which may include roofing. This is your cheapest solution, usually, but it's not often a good one. If you have basic skills and you are thinking about installing your own roof, you may want to think again. Although you may have some skill, you most likely don't have what it takes to do the job correctly. On the other hand, professional contractors have the training and experience that allows them to do the work in the best possible manner. So, before you pull out your tools and call some of your old buddies, you may want to rethink your decision. Although you may have some skill in this area, professionals have even more training and ability. This isn't to say that your skills are not valuable. However, when it comes to installing something such as a roof, it is always best to get the help of someone who knows exactly what they are doing. For example, they may know which materials are best to use. They even know procedures that will help them to complete the task quicker. Therefore, they can complete the job more efficiently. Along with having someone complete your roofing project the right way, getting help also allows someone to do the job for you. This type of project can be tedious and time-consuming. It can take some contractors days and even up to a week or two to complete this type of project, depending on how big the home or building is. If you already have a job, a family or even a social life, this can definitely take away from these aspects of your life. You may miss out on your weekly lunch date with your significant other. You could miss an important family event. You could even miss the once a year showing of your favorite television marathon. If none of these things tend to prevent you from trying to do this project on your own, just think about how tired you would be as you try to complete this task along with working your regular full-time job. Not only is the process of roofing time-consuming, but the cleanup process is also daunting. There are many materials that are used during this type of project. So, when the roofing aspect is finally complete, the job is not really done. That is because all of the material has to be cleaned up and properly put away or thrown away. If you have to do this on your own with just a couple of friends to help, it would add unnecessary stress to your life. That is not because this process is particularly difficult, but it's because it can take up a lot of your time. So the next time you are thinking about starting on a roofing project, think again.